If you have a sister-in-law and are looking for cool and interesting birthday wishes to send to her on her Big Day, then this page is definitely worth spending time on. 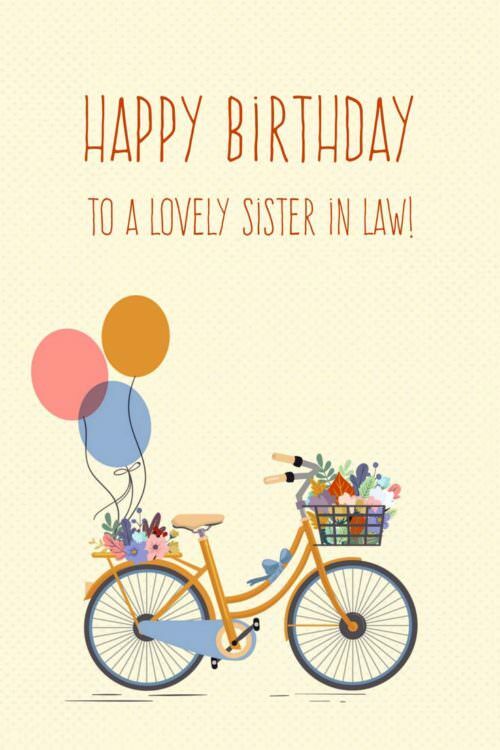 Here, we have a bunch of birthday wishes for sisters-in-law that cut across various categories such as funny, sweet, and formal. These wishes are so well written that they will not only play a very big role in making your in-law’s birthday celebration a memorable one but also make her know that she means something special to you. My dear, I guess you know that it is all downhill from here onwards?! But happy birthday all the same! My brother has done a lot of crazy things in his life, but the moment he brought an amazing person like you into this family, all his ‘sins’ were forgiven. Happy birthday. I was thinking deeply of what present to offer you on your birthday until I remembered that you already have the best present in the world in me, the world’s most awesome brother-in-law/sister-in-law. Hmm…what a lucky woman you are! Happy birthday, you lucky one! Dear sister-in-law, on this day, I ask that God bless you with a slim body and one heck of a fat bank account! And please don’t forget me when the money starts rolling in! Have a fabulous birthday party! My brother is famed all over the community for his bad choices, which is why it comes to all of us as a big surprise that this time around he was able to pick someone as wonderful as you. Happy birthday, dear. Wishing my amazing sister-in-law an amazing birthday celebration. I swear I didn’t need Facebook to remind me of your birthday! Yay! It is your birthday today! Where’s the birthday bash taking place? Today, we are surely going to support wildlife by partying wildly on your birthday bash, so don’t forget your dancing shoes! Happy Birthday to my beloved sister in law. On your Big Day, dear sister-in-law, may God give you the body of Angelina Jolie, the wealth of Bill Gates, the compassion of Mother Teresa, the self-confidence of President Donald Trump, and the smile of President Obama. Happy birthday. 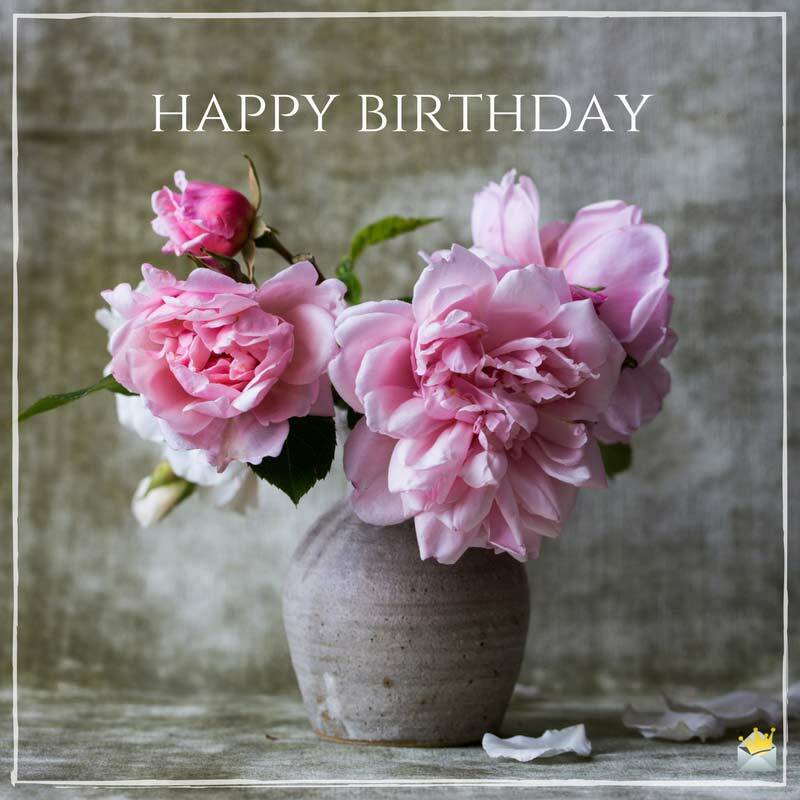 Dear sister-in-law, as you blow the candles on your birthday cake, take note of the fact that I love you more than Queen Elizabeth II loves to wear gloves. Happy birthday. On this day, I want to congratulate you on turning a new age and surviving another year of my brother. Keep it up! Happy birthday. May God make any extra fat on your body to either get the f*** out of your body or make its way to your bottom to make you more bootylicious than our dear Beyoncé and Kim Kardashian combined. Happy birthday. I am so lucky to have my best friend in my sister-in-law. I couldn’t have asked for a better sister-in-law. Happy birthday, dear. On your special day, dear sister-in-law, I just want to let you know that I will always be there for you. I will never let you wander in the dark all by yourself. Happy birthday, dearest sister-in-law. You are such a big gift from God to my brother, me and the entire family. A wonderful sister-in-law like you is more valuable to me than a thousand friends. I am so thankful you found your way into our family. Happy birthday, my sweet sister-in-law. Ain’t no sister-in-law like the one God has blessed me with. May the Heavens bless and protect you wherever you go. Happy birthday. You are not only my sister-in-law but also my best friend given to me by nature. Happy birthday. Thank you for being a blessing to my brother and the entire family. May you keep on putting smiles on the faces of the people around you. Happy birthday, my dear, and forever stay blessed. We may argue and fight sometimes, but that doesn’t stop you from being an incredible friend and a wonderful wife to my brother. Happy birthday to you, my dearest sister-in-law. I thank God every day I wake up from sleep simply because He has blessed me with a sister-in-law like you. May your heart always be home to happiness and joy. Happy birthday. No treasure on earth can compare to the fact that I have a wonderful sister-in-law like you in my life. Thank you for always being there for me. Happy birthday. There’s nothing on earth that can stop me from loving and caring for you, my dear sister-in-law simply because you are such a special woman. May God keep heaping the choicest of His blessings upon your inspirational life. Happy birthday. Congratulations on your birthday, dear sister-in-law. I am glad you are no longer just an ordinary person in my life but a member of my family. 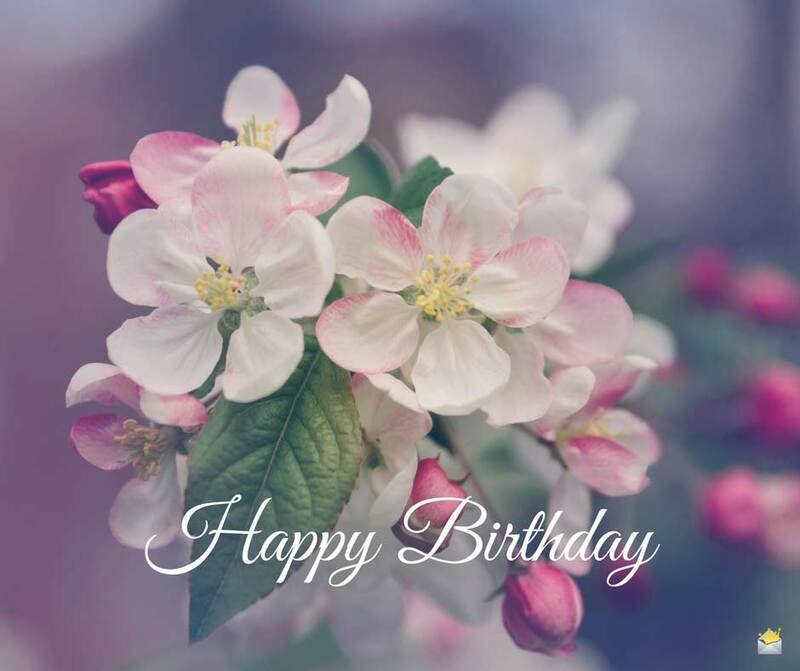 May your birthday bring to you all the wonderful things you have ever wished for in life. Happy birthday. 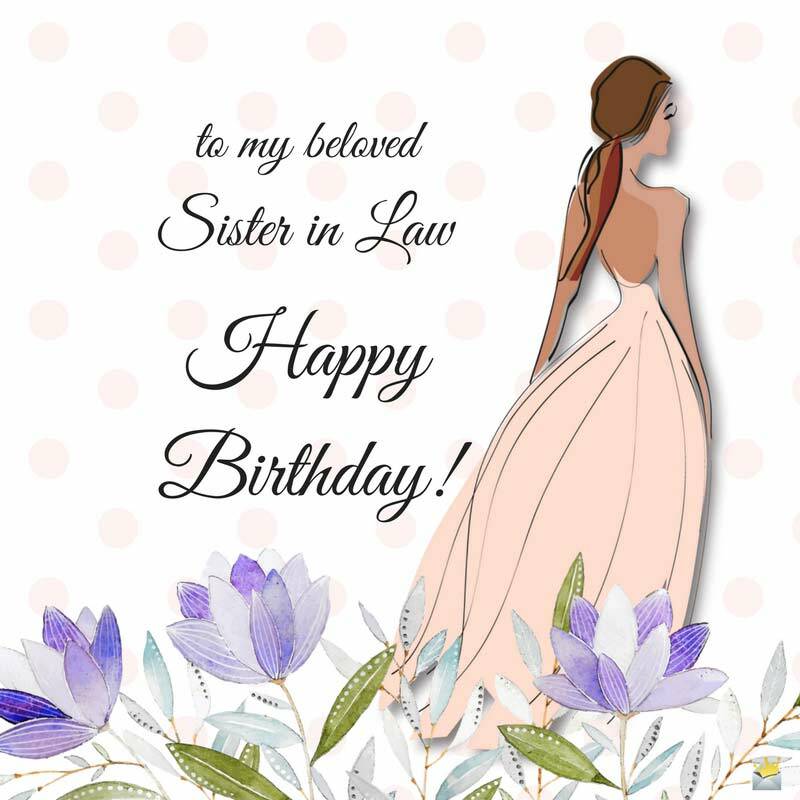 On your special day, sister-in-law, I wish you good fortune and all the beautiful treasures in the world because you are not only an amazing in-law but also a very good friend. Happy birthday. I hope that the Heavens look down upon you today and bless you abundantly. Have a fabulous life filled with happiness and tranquility, my dear. Happy birthday. Wishing the world’s most amazing sister-in-law an astonishingly merry birthday. I pray that you keep on making phenomenal strides in life. Heaven must have selected you to bring happiness, peace and harmony into our family. Thank you for being such a kind, caring and loving sister-in-law. Happy birthday. Dear sister-in-law, your birthday will always be a special day to me since it is the day you came into this world to bring happiness to our family. Happy birthday, dear. On your special day, I wish you a life full of joy, tranquility and prosperity. Happy birthday, dear sister-in-law. I wish you a happy, successful and prosperous year ahead because you are such a special sister-in-law. I hope your birthday turns out to be a very memorable event. Happy birthday, my dearest sister-in-law. There’s no day that goes by that I don’t think of how empty my brother’s life would have been had you not been in it. Thank you for decorating his world and bringing happiness to our hearts. Happy birthday to my phenomenal sister-in-law. 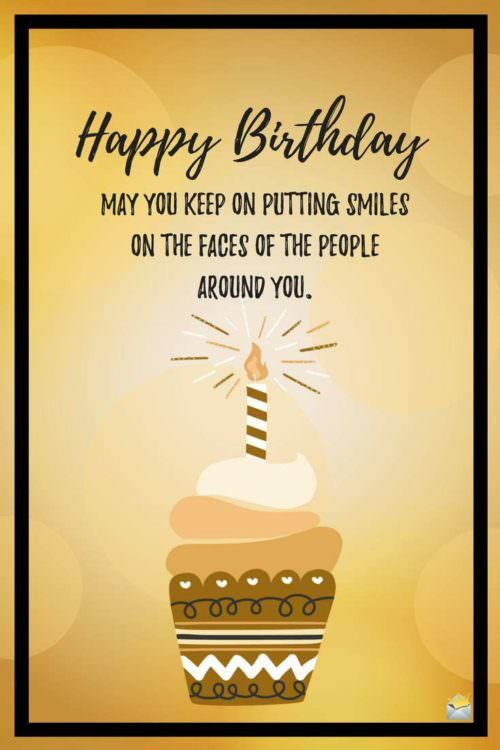 May your birthday bring you as much happiness and joy as you bring into the lives of others. God bless you. Today is your special day, my dear! May your dreams that are yet to materialize start materializing from this remarkable day. Happy birthday.